There are many fun activities happening over the next week for you to enjoy. A LIFE OF PLAY by Emma O’Kane for CoisCéim Broadreach is a FREE creative dance & play workshop for children aged 5 -10 and their older family members. A place of mischievous, magical invention where everyone can create, anyone can dance & all can play. 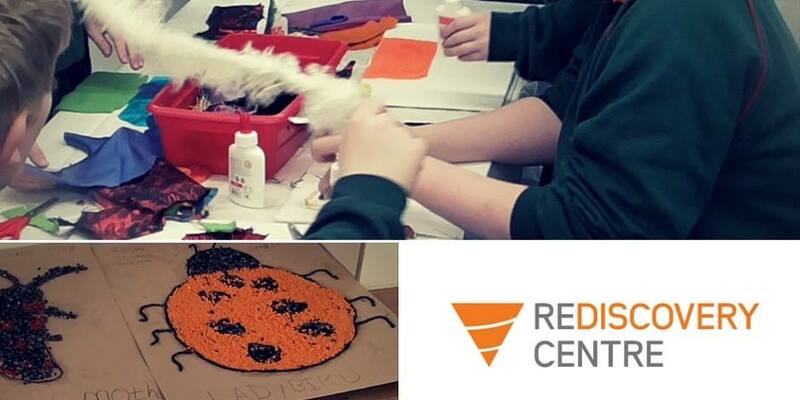 Join us at the Rediscovery Centre for our Arts & Crafts workshop for kids, where we will do a variety of creative crafts by reusing waste materials, such as fabric, cardboard, plastic and sweet wrappers. 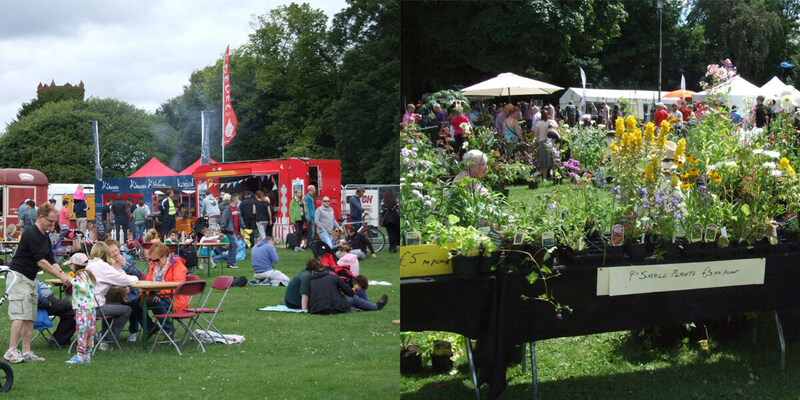 Dublin City Council invites you to come along and join in the fun at the annual St. Anne’s Park Rose Festival. St. Anne’s Park is one of the jewels of Dublin’s northside where the public can enjoy woodland walks, recreational facilities and, of course, the beautiful Rose Garden. We invite everyone to come along over the weekend and enjoy a great day of family fun in this beautiful setting. Some of the attractions on offer are horse and carriage rides, a living history exhibition, the Big Bear Planetarium, live music, and lots more. For those who want a day in the sun there will be a good assortment of trade stands and treats and of course our Farmers Market will be in full swing over the weekend also. For all our gardening visitors we will have plant sellers, nurseries, garden centres, florists, and our Biodiversity Hub will inform you and keep you updated on all environmental issues affecting the UNESCO Biosphere for which St. Anne’s plays an important role. This isn’t strictly marked as child friendly, but in our opinion it looks like it could be fun to participate and of course it’s all for a worthy cause. 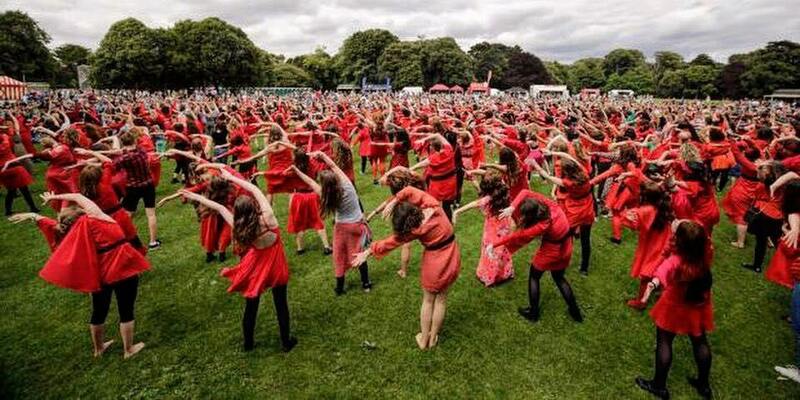 Join us out on the wiley, windy moors in your finest Kate Bush garb for a group performance of the ‘Wuthering Heights’ dance routine, as Dublin celebrates ‘The Most Wuthering Heights Day Ever’ on Saturday July 14th 2018. This year, we are proud to support Women’s Aid, a leading national organisation that has been working in Ireland to stop domestic violence against women and children since 1974. Find out more at www.womensaid.ie. The event, kindly supported by Dublin City Council Parks and Biodiversity and the Dublin City Rose Festival, is free to attend, but we encourage you to make a €5 donation to Women’s Aid when you register. We’ll provide a more detailed plan for the day closer to the time. Guys, gals and non-binary pals all welcome. Make sure to come in costume! Check out the photos and videos from last year and you’ll get the idea. It’s so fun with lots of twirling red dresses, so raid the charity shops, or try borrow a gúna from a friend if possible! Bring along some snacks for a picnic. If you can bring something to share, even better! We will provide some bin bags and ask that you help tidy up afterwards. The Dublin City Rose Festival is an alcohol-free event, so make sure to hold off on the tipples until after the big performance. Please be aware that there may be a video recording of the performance and that members of the public will also likely take pictures and videos. How much? It’s free to register, however they would like you to make a €5 donation to Women’s Aid when you register. 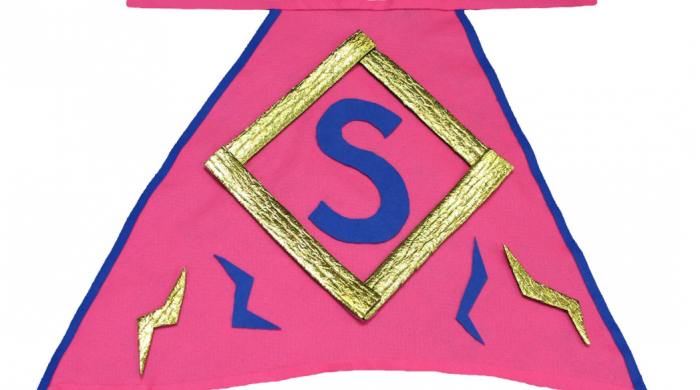 Join us for a fun afternoon of cape-making to celebrate our everyday superpowers! Using only the brightest and shiniest of materials we will combine fabric with sticky vinyl cut-outs and foil pieces to adorn our glorious capes! At the end of our workshop we will practice our superpower struts and poses before taking a walk through the gallery in our flowing capes to show off our amazing superpowers! Michelle Hall is an artist who works with a variety of materials and processes to produce videos, performances and installations. She graduated from the NCAD MA Art in the Contemporary World programme in 2016 and with a BA Fine Art from DIT in 2007. She is the recipient of this year’s RHA Fingal Arts Office Studio Award and has exhibited her work in Ireland and in various locations across Europe. How much? Bookings open two weeks before the workshop via Eventbrite. Join us for a free autism-friendly workshop for children, inspired by the work of Irish artist Harry Clarke. The workshop is suitable for children of primary school age and will take place in a low-lit space that displays Harry Clarke’s beautiful stained-glass artworks. Parents, guardians and carers are encouraged to work with children on this creative project which will explore colour, shape and texture through drawing and craft activities. Places are limited, so advance booking is essential. Ticket holders will be sent the Gallery’s social guide, in advance, to assist with preparation for the visit. Please note: Booking required for children; parents, guardians and carers who wish to accompany their children do not need to reserve a space. Where National Gallery of Ireland, Merrion Square West, Dublin 2. This workshop will take place in Room 20 on level 1 of the Dargan Wing of the Gallery. Join our Education Department for a family friendly look at some of the beautiful stained glass windows in Saint Patrick’s Cathedral. Taking inspiration from these windows, children will then have the opportunity to make their own simple version of a stained glass window using art and craft materials. How much? Free and bookable here. Places on this workshop are limited so be sure to book your place today to avoid disappointment! Parents need to remain present for the duration of the workshop, but do not need to book a place for themselves. 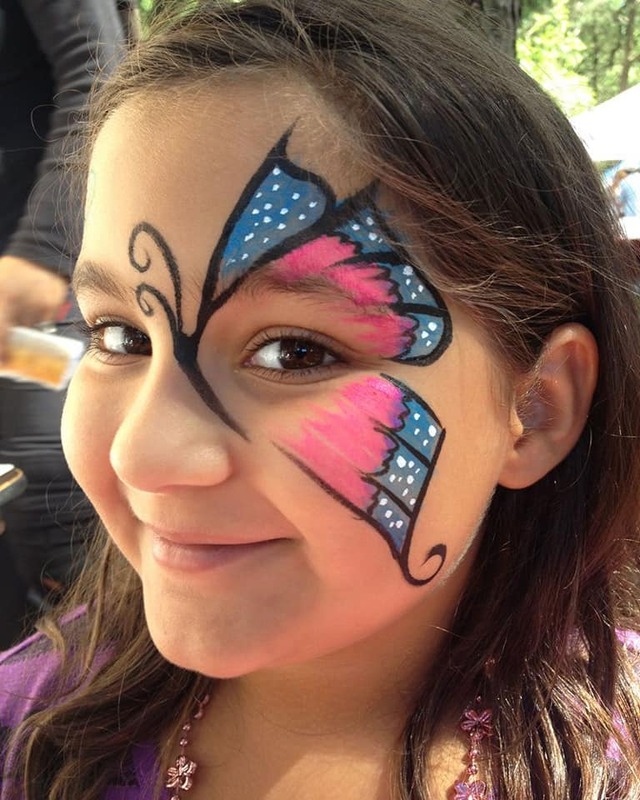 We are having a Fundraiser in Little Cozy Pace with Face Painting, Raffle , Bake Sale and pliantly more fun on the day. Kerri lives in Clonee, Dublin 15. When Kerri was 14 months old she developed leukaemia and fought the illness on 3 occasions up to the age of five, whilst receiving two bone marrow transplants during that time. Having been in remission for nearly five years, a recent blood test revealed that the leukaemia is back. We want to raise much needed funds, so Kerri’s parents can spend more time with her to and give her the time and care she need to help her recover. How much? Fundraising – so every penny is welcomed. Kids, Join us for fun activities in the dedicated Children’s Garden! Sow seeds, make seed bombs, design bug hotels and re-use everyday items to create your own piece of eco art. When Tuesdays until August 28th at 11.00am, 11.30am, 3.00pm, 3.30pm. No Bookings. First Come, First Served. 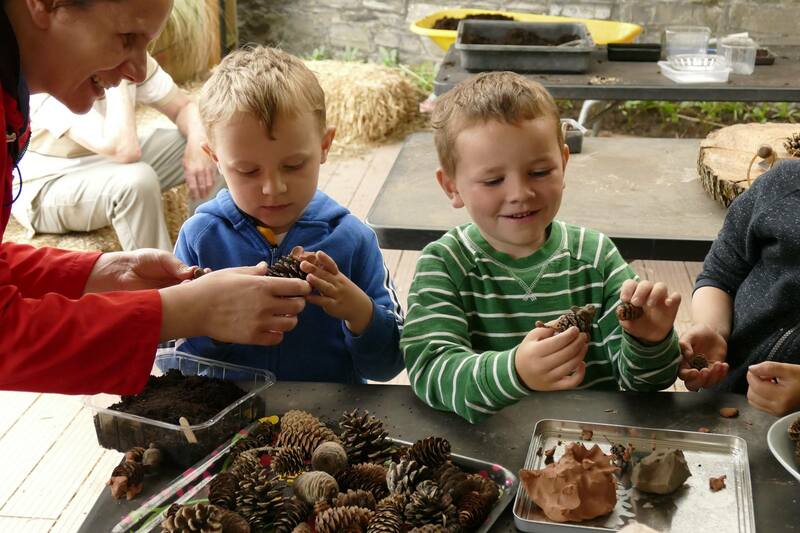 Have some creative family time during the summer school holidays. 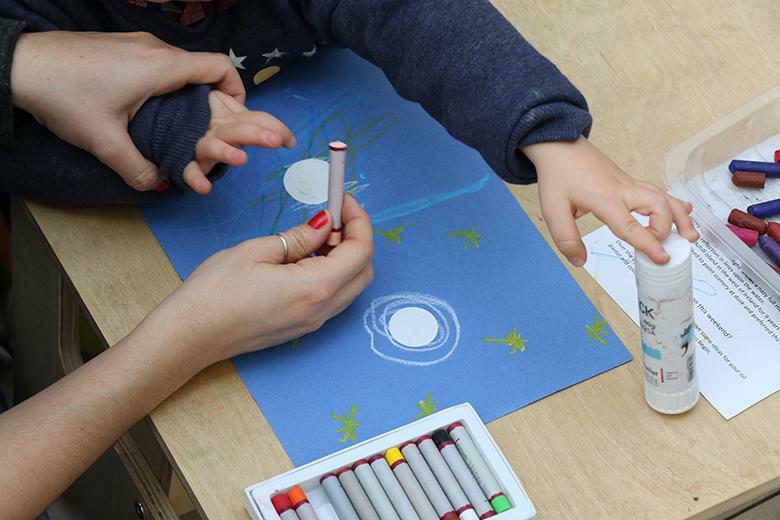 Children and grown- ups can enjoy visiting an exhibition and making artworks together. How much? Free, but must be pre booked here, limited spaces. 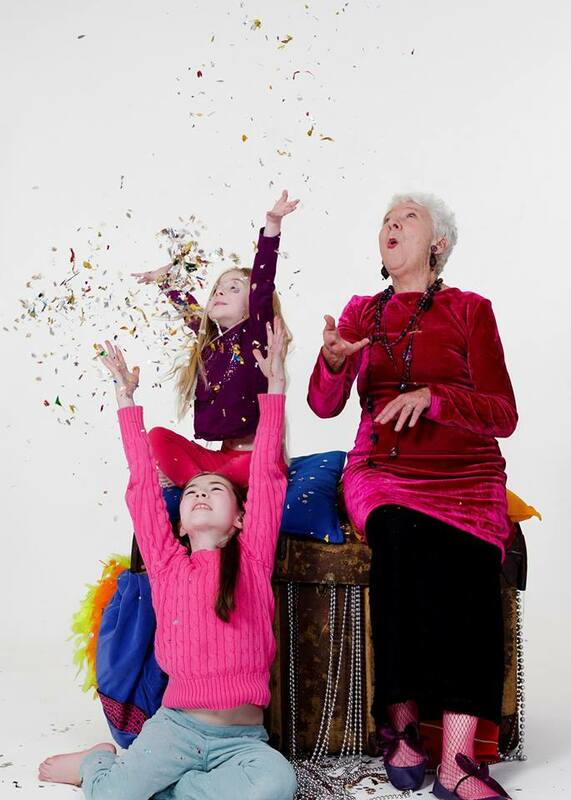 Ages suitable for This is an interactive show for parents and children aged 3-6 years. At the end of the session there is a chance for parents and children to get crafty too! 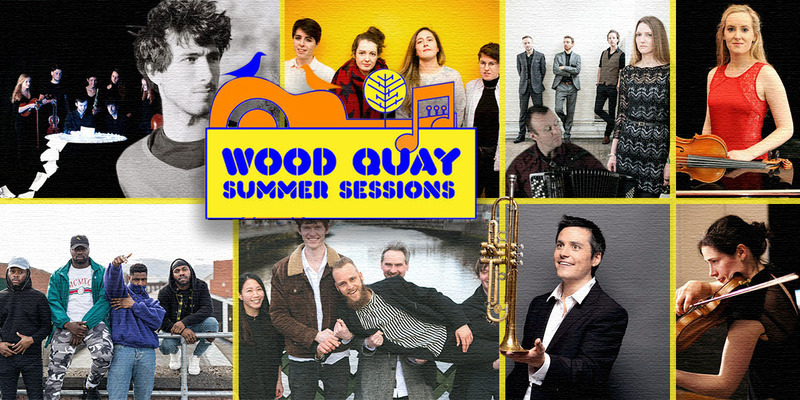 The Wood Quay Summer Sessions return for a third year of free concerts from 1pm to 2pm every Thursday throughout July. 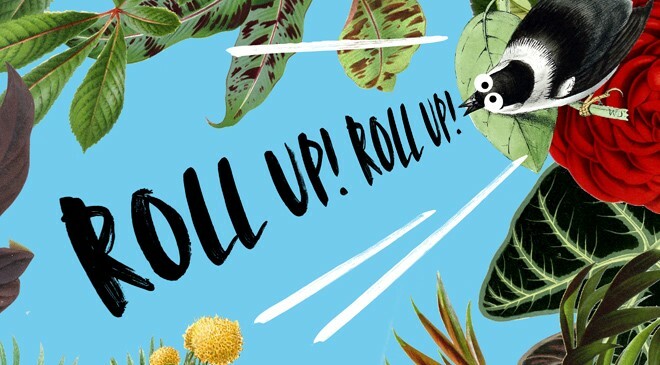 Every week, music fans will have the opportunity to see new and upcoming acts, as well as established acts, from across a wide range of genres performing in the wonderful setting of the outdoor Wood Quay Amphitheatre in Dublin’s city centre. Playful days & Curious Nights. Experience a cultural feast of unique, visual and interactive experiences in Dublin that merge cutting edge technology, design, arts and science in playful, immersive & curious ways. 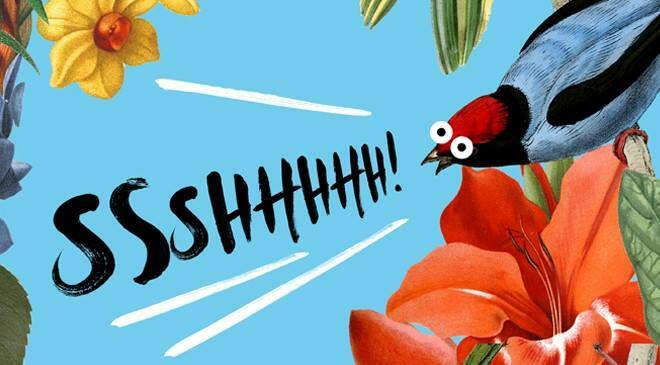 Join Sam (from The Lalala Choir) for this fun singing workshop for families and friends (aged four and up), where anyone can show up and learn to sing. Every workshop is a new experience, as we explore the unpredictable world of improvisation; learn new songs and create our own arrangements on the spot. Anyone aged 4 and up. Join YouTuber & Blue Peter Science GuyGreg Foot for the story of his scientific adventure to the world’s highest pop-up lab at Everest Base Camp. Featuring a host of clever hacks, intriguing innovations and maker movement magic – come along to find out how robots are made, and instruments are created and beer gets brewed. See woodturners and weavers in action and medical devices being 3D printed. Get the chance to speak to makers who have created everything from rocket launchers to film props. The food area and chill out zone are back this year. So take the opportunity to glimpse into the future, get hands-on in the creation process and find inspiration to become a Maker. Pre book the events below for future family fun. Music has played a pivotal role in the life and history of the Cathedral for centuries. Come and explore this musical heritage of Saint Patrick’s Cathedral through music and song with one of our talented musicians. 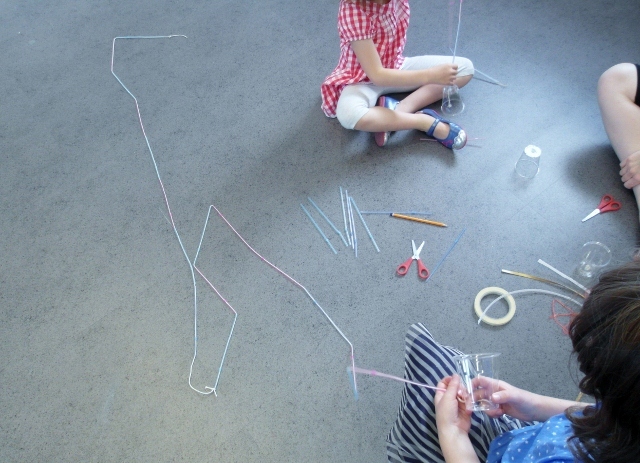 The Ocean Deep puppetry art workshop with artist Frances Coghlan. Play is an integral and important part of children’s lives and the focus of Playstival is to ‘go back to basics’ and experience a more innocent approach to games and play – no fancy technology or screens to be found! Playstival is both interactive and active, kids don’t just sit and watch, they play. 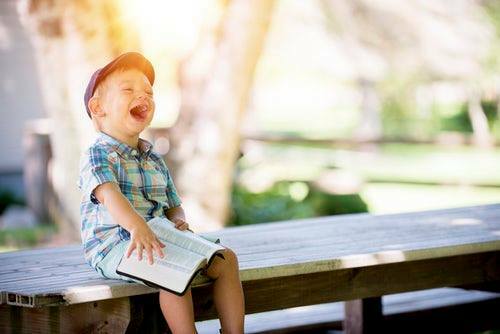 Playstival showcases eight themed ‘play universes’ for children to immerse themselves in, use their imaginations to create ideas, roles and characters, and most importantly have lots of fun. From a construction site for kids to the wild wild west, the wonderfully themed play universes offer an unforgettable day of pure fun for families set in the heart of Dublin. 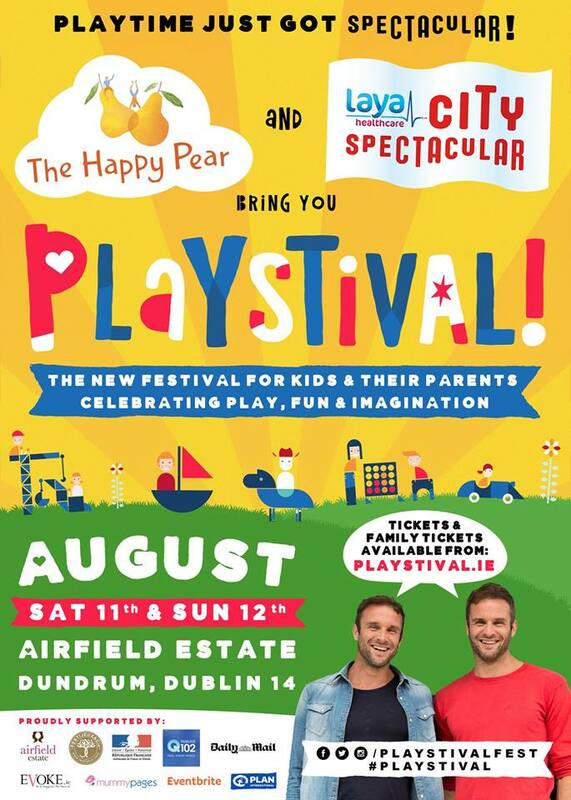 When Sat 11th, Sun 12th – Playstival with The Happy Pear runs from 9am – 6pm. Like a school day, Playstival is divided into morning and afternoon sessions. Each Playstival session lasts for 4 hours and runs between 9am – 1pm and 2pm – 6pm. Above the hustle and bustle of Temple Bar is its best-kept secret…The Ark’s top floor workshop & garden! Join artist Jane Groves for a series of visual art workshops inspired by what you can see and hear out there. To start the series off, these workshops for ages 5-7 will create beautiful paintings using nature’s toolbox. In this workshop you will experience the surprising tools and materials you might find in your garden and use them to make your own natural artworks. Investigate the potential of sticks, stones and feathers to make marks and explore vibrant watercolours and dusty charcoal. 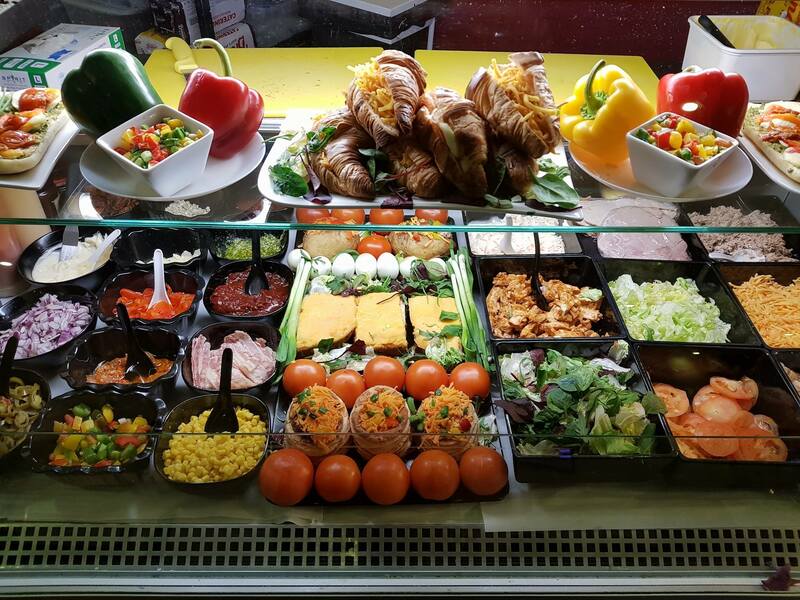 When Saturday 4 Aug at 11.30am & 2pm and Sat 28 July & 18 & 25 Aug at 11.30am. Ages suitable for 5-7 year olds. If you are aged between8-12 years, you can book to enjoy on Sat 28 July & 18 & 25 Aug at 2pm. Ever wanted to start your very own dried plant collection? Get great tips and discover how you can become a plant collector! Join our guides on an expedition through the Botanic Gardens, identifying and collecting suitable plants for pressing before constructing your very own flower press. 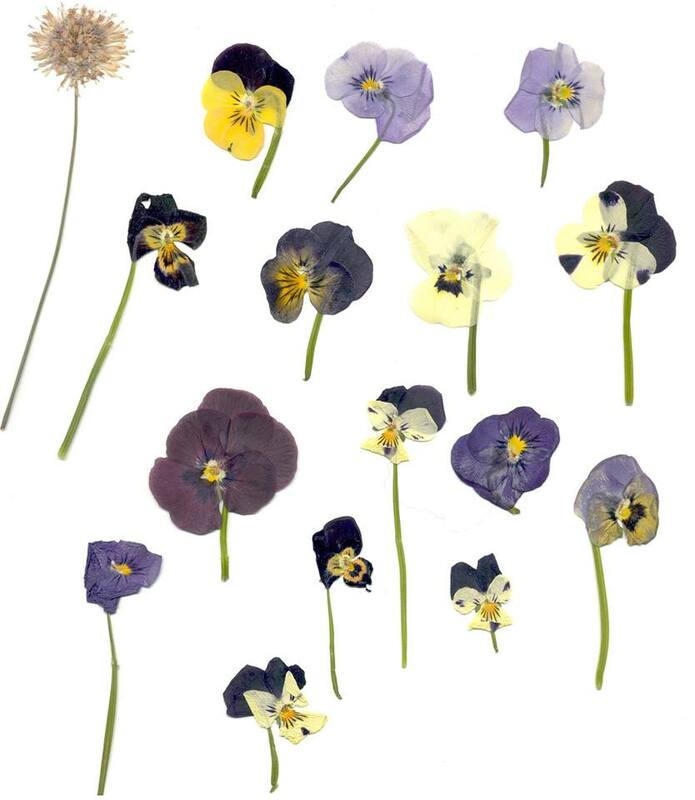 If you like, you can also create some beautiful botanical designs with our pre-dried plants. How much? Free, although you must book Call (01) 804 0319 / 857 0909 or email botanicgardens@opw.ie. 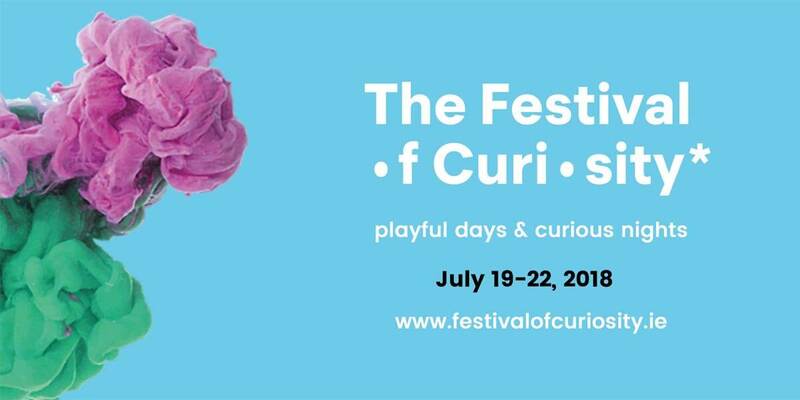 Roll up, roll up this summer as we join forces with Street Theatre Ireland for a mini festival of circus skills and performance for children! 2018 marks 250 years since the modern circus was born. To celebrate this we have dynamic day-long workshops for children aged 9-12 to learn from circus artists and enjoy a fun, action packed programme including juggling, balancing, hula hooping, wire walking skills and circus make up. Suitable for children of all levels of experience – including complete beginners – the artists will guide participants through the basics of the skills in four focused sessions, before everyone gets the opportunity to share what they’ve learnt with the rest of the group at the end of the day. Each skill is taught with step by step, easy to follow instructions which build confidence, improve coordination and reward effort with achievement. Above all else, it will be an exciting day for any budding circus star! Juggling – Children will learn the basics of juggling with scarves and balls before trying to juggle with a partner. Keep your eye on the ball for this one! Hula Hoop & Devil Stick Class – Hula hooping fun and introduction to devil stick manipulation. Try these two tricky skills and impress your friends. Balance Class – Try your hand at balancing feathers and sticks, walking on hand held stilts, teetering on the rola-bola and braving the tight wire. Circus Make-Up – Create your own clown identity as you work in pairs to do each other’s make-up ready for the show! 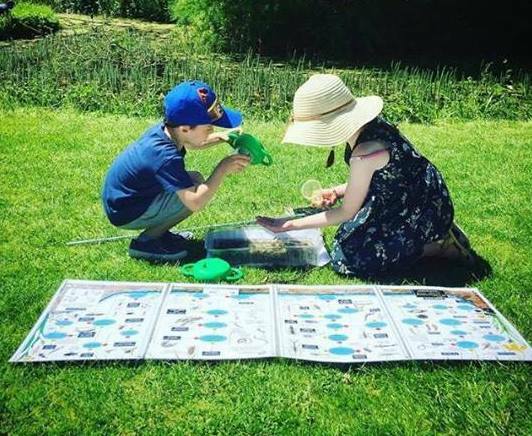 Explore the weird and wonderful diversity of insects and minibeasts living in and around the pond at the National Botanic Gardens. Perfect your technique with guidance from the experts and learn how to identify the amazing creatures you have captured. Once you have discovered the hidden pond life you will never look at ponds the same way again! Organised with the Irish Wildlife Trust. Ages suitable for children age 8 and upwards. From imaginary landscapes to sculpting a mountain we will be exploring the wonderful world of nature in this summer camp for 6-10 year olds with artists Jane Fogarty, Ashleigh Downey, Kathryn Maguire and Marie Farrington. How much? €44 To book your place, please register via Eventbrite, here. How much? €44, To book your place, please register via Eventbrite, here.